These days, hashtags are virtually universal. From Twitter to Instagram to Facebook and seemingly everywhere in-between, hashtags are now used widely to collect information about a specific topic easier. The purpose of hashtags is to tie user’s conversations together so that people who are not connected or friends can participate in the same conversation. However, it isn’t just where hashtags are used that represents an evolution. How they are used has also shifted and expanded. Hashtags are often employed by small and large businesses alike to create targeted hashtag campaigns. Hashtag campaigns are launched by constructing a new hashtag for the express purpose of marketing. Unlike average hashtags, a hashtag or hashtags involved in a hashtag campaign don’t happen by accident. Why Do Businesses Use Hashtag Campaigns? Hashtag campaigns are used most often by companies to garner social media attention revolving around their own products and services, or products and services within their field or a related field. It’s all about relevancy and attention. Hashtag campaigns are a social marketing tool businesses use to control the conversation and, in many cases, the content their fans and clients submit. Hashtag campaigns are featured throughout blogs, websites, videos, social media channels, and more, and are designed to enhance customer engagement with the eventual goal of building brand awareness and increasing sales. Brands often specifically launch hashtag campaigns to introduce new products, popularize existing ones, and/or disseminate content. Occasionally, these campaigns also are part of a contest or giveaway. Camp Brand Goods: Camp Brand Goods wanted to generate community engagement among their fellow outdoor enthusiasts. As an outdoor lifestyle brand, the company set out to create a hashtag campaign that would reinforce their image of what they’re about—namely, the high value they place on hiking, fishing, road tripping, and the great outdoors. As such, Camp Brand Goods launched the #keepitwild hashtag. Throughout the campaign, the company encouraged their Instagram followers to post pictures of themselves “keeping it wild” (hiking, fishing, et cetera) to their personal Instagram accounts. 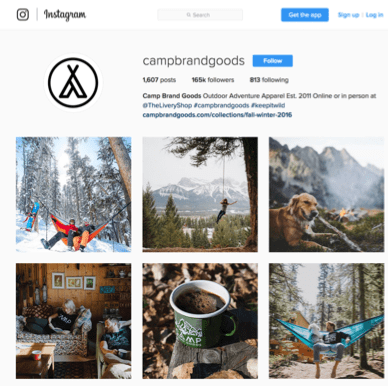 In the process, their audience was to include the #keepitwild hashtag in the caption.Camp Brand Goods awarded a t-shirt each week to one lucky Instagram user that used their hashtag. As a result, the hashtag was frequently utilized, much to their delight. Contractors: As an example, if you are a plumber or HVAC representative, you could start your own branded hashtag campaign like #HowellPlumbingTips. Keeping a short tip into 140 characters on Twitter, makes sure your tip is short and sweet.Something we all can appreciate in today’s information overload. A link to your YouTube channel that gives more explanation can help you take it further. Wedding Wire: Wedding Wire positions themselves as a wedding marketplace. Similar to Camp Brand Goods, they also hosted a photo contest utilizing their own custom hashtag: #WWChallenge.The contest ran over a weekend and encouraged users to submit wedding selfies that both tagged the company’s Instagram account directly and incorporated the #WWChallenge hashtag. The winner was awarded mild fame through a feature on the business’s account. SmartBear: In 2014, Tech company SmartBear took an extra creative step or two forward with their hashtag campaign. Tasked with showing off their powerful testing and development tools, SmartBear constructed an actual game, “Where’s Dain”—a slick take on “Where’s Waldo.” Dain, a SmartBear developer, was stashed away in hidden areas throughout SmartBear.com, and users had to find him.Once found and clicked upon, Dain spawned a Twitter box which prompted visitors to win a t-shirt by simply tweeting a message from their personal account. The message had to include the company’s account (@SmartBear) and their custom hashtag.The result? Traffic spiked by over 120%, and the hashtag campaign doubled “@SmartBear” mentions. Hoping to launch your own creative hashtag campaign, but still feeling short on inspiration? 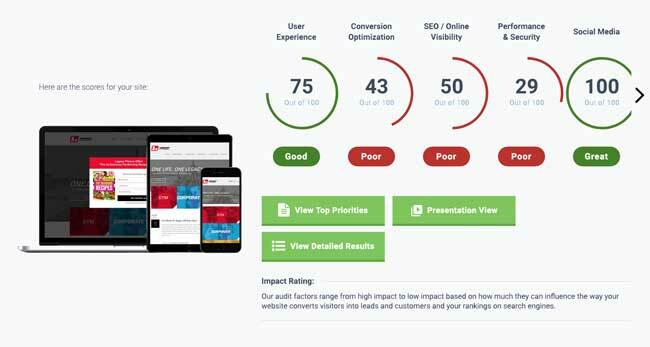 We offer powerful online marketing services and creative web solutions. Learn how we can help today!